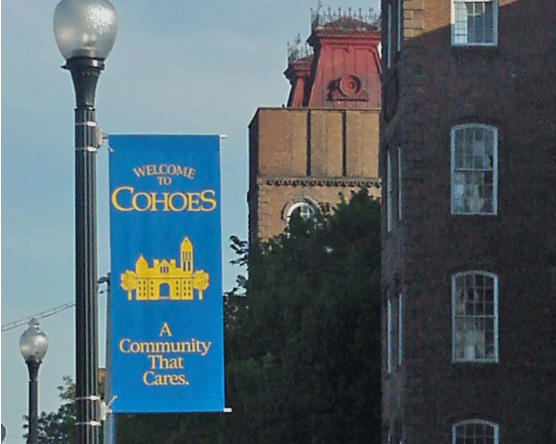 Decorate your city streets, parking lot or small town main street with colorful avenue banners! Whether you are honoring veterans, celebrating the season or announcing a big event, custom avenue banners are a great way to make an impact. You could even get local businesses involved and have an advertising element to each street banner. Choose from heavy marine canvas (Sunbrella) with a screen printed design, or durable full color vinyl. Need help with your street banner artwork? 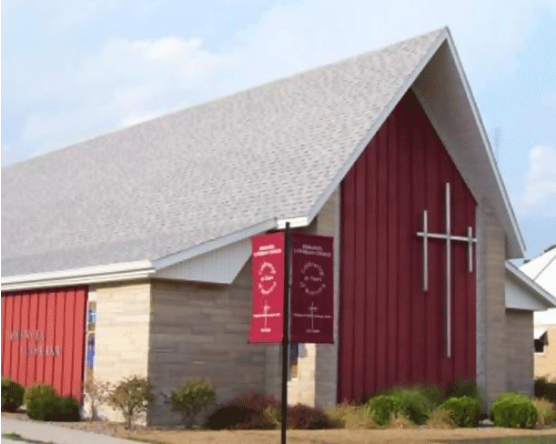 We've got a graphic artist to assist you make your vision a reality! 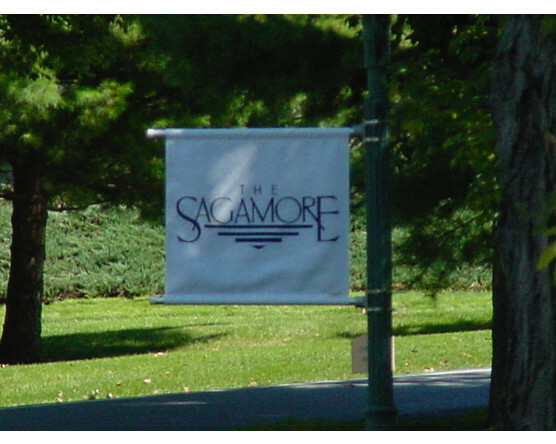 Have questions about designing a custom avenue banner? Give us a call at 1-888-697-3524 or contact us online and we'd be happy to assist you! Ready to design your own street banner? Request a quote to get the process started! 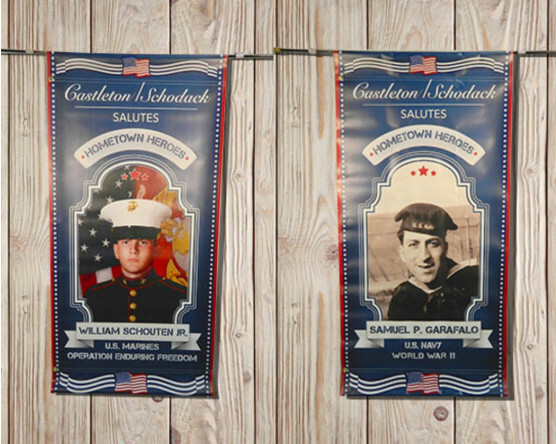 Perfect for celebrating events, holidays, honoring local veterans, highlighting certain districts and more, custom avenue banners are a festive way to decorate your community. 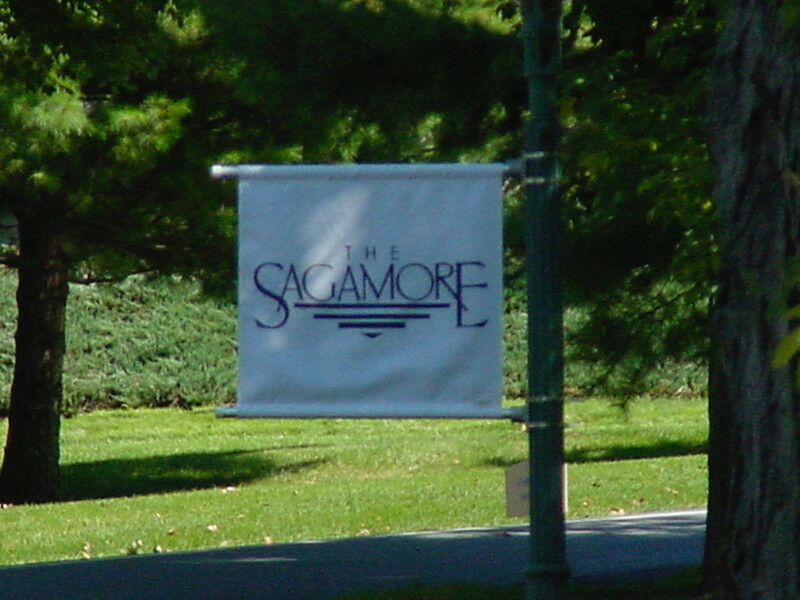 Avenue banners, also called street banners, are double sided banners with a sleeve at the top and bottom so that they can be displayed along the street and easily seen. Avenue banner hardware holds the banner still and open, allowing text to be read and artwork to be enjoyed. 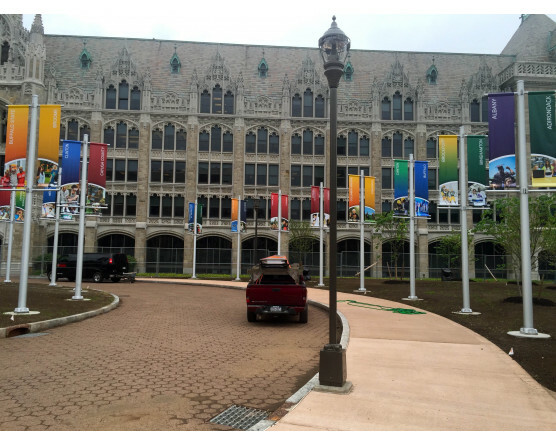 Somewhere between a flag and a sign, street banners are the perfect solution. Mount them to light poles, telephone poles or even the wall of a building! They're a versatile option that can be used for many purposes. 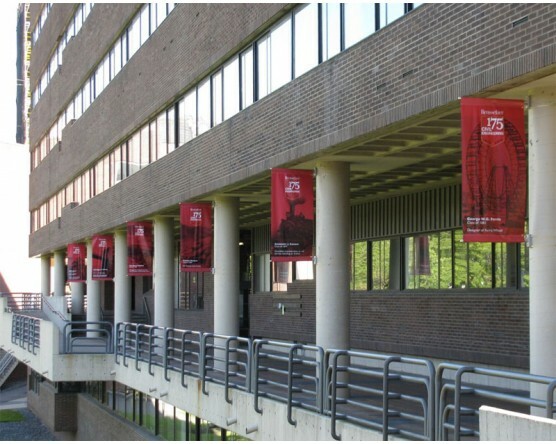 Academic avenue banners are a popular option for schools and universities. They can easily be displayed throughout your parking lot and along the street to encourage school pride and engage the community. Include a few different designs talking about the upcoming events of the school year, honoring special students or faculty or to celebrate winning athletic teams. Does your town or city have special events throughout the year? We can help you design avenue banners to increase awareness about your farmers market, fair or other special days. Many towns are celebrating big anniversaries too. 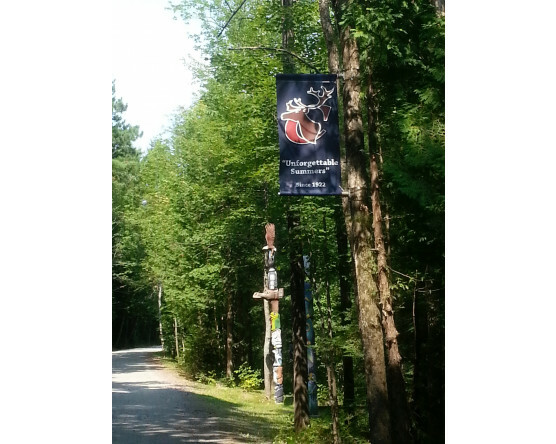 Street banners are a perfect way to show the pride in your community and it's deep history. Interested in a custom town or city flag? We make those too! 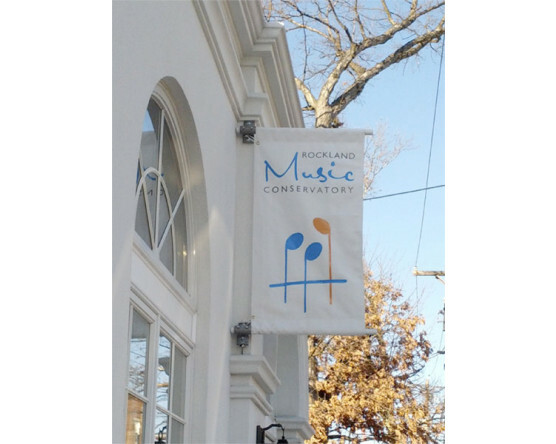 Check out our portfolio of custom town and city flags for ideas and to see some of our past projects for local communities! 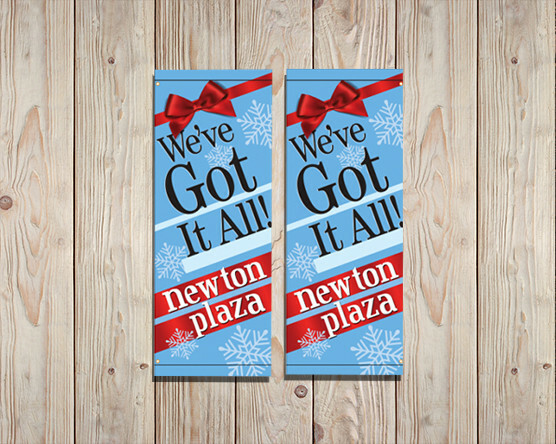 Holiday avenue banners are a great option when it comes to decorating your town or campus for the holiday season. Adding some festive color and flair to your community is a great way to lift spirits and spread holiday cheer. 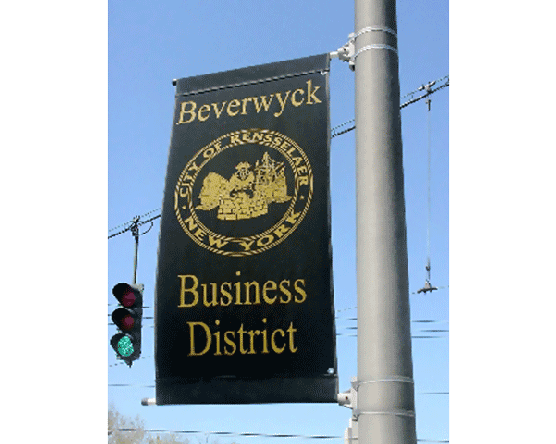 You can even benefit the small businesses in your community with sponsored avenue banners. It can be a way of decorating for the holidays while advertising. 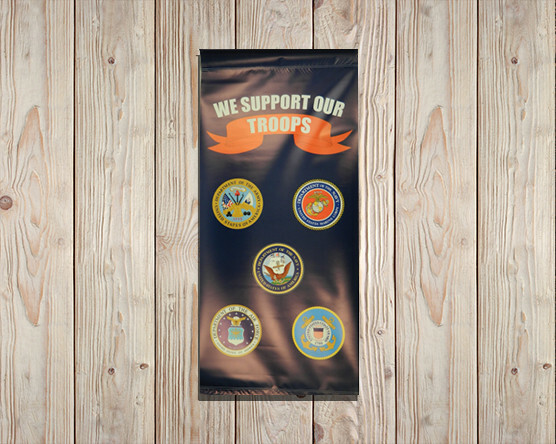 Custom avenue banners are also ideal for the veteran banner programs and Hometown Heroes military banner campaigns that many municipalities participate in! 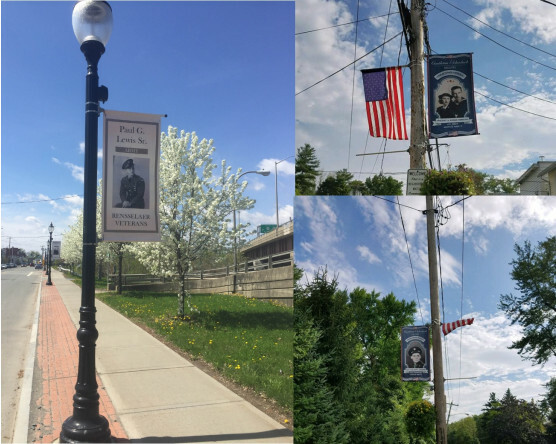 Lining the streets with custom banners celebrating local veterans is a great way to show your patriotic pride while highlighting those who served our country. If you're looking to create hometown heroes banners for a military banner program, or you're interested in learning more about local veteran banner programs, reach out to us today and we'd be happy to help! 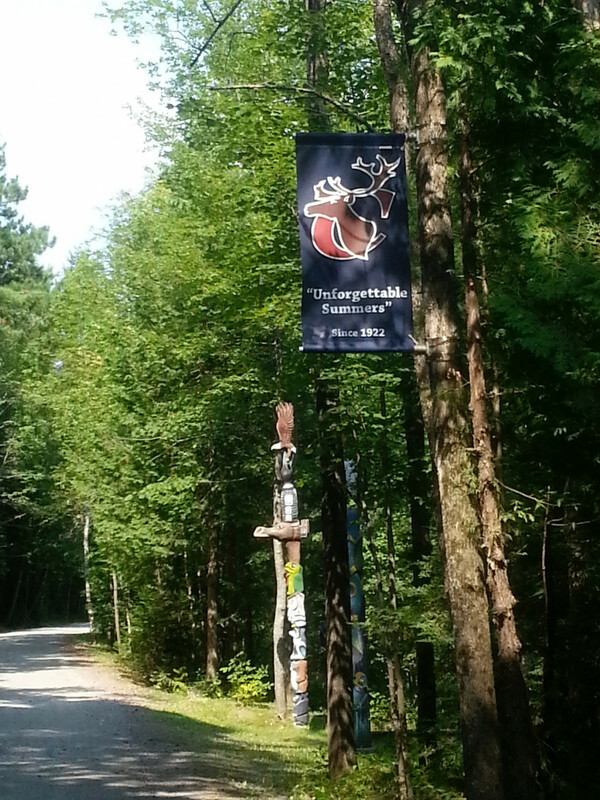 Have an idea for a customized avenue banner? We can help you make it a reality! Our team can help you design exactly what you're looking for. We'll then manufacture your street banners with high quality materials and send them you way so you can get them up on display as soon as possible! Ready to get started with designing customized street banners? Give us a call at 1-888-697-3524 or request a custom flag quote online to get the process started. Wondering how you'll hang your avenue banners? In addition to supplying the banners, Gettysburg Flag Works is also happy to offer a variety of avenue banner hardware options to make displaying your new street banners easy! Seeking some avenue banner design inspiration? 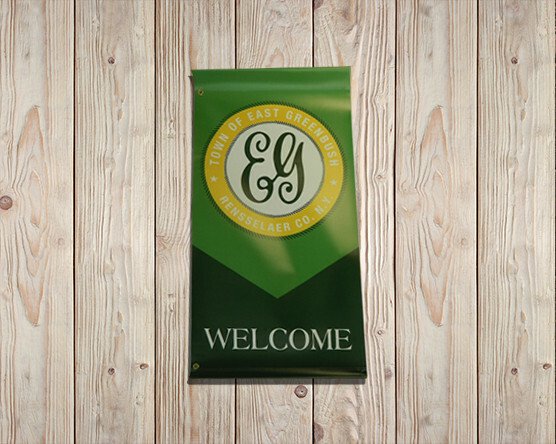 Check out our selection of avenue banners for ideas!